When you’re well rested you feel like you can take on the world. However, if you’re feeling groggy in the morning and sluggish at work, your professional life is likely to be affected. Are You Waking Up Feeling Tired? All of these symptoms can contribute to you feeling “off” when you’re on the job. Your body is a machine of sorts, and sleep is its main source of maintenance. When you rule out other health issues like sleep apnea or anemia that could be affecting your sleep, the culprit for your tiredness may be your mattress. If you ever used a memory foam mattress topper or owned a “bed-in-a-box,” you probably remember the odd smell that came from the products when they were new. Synthetic mattresses use chemicals to keep their memory foam plush and comfortable. Though these mattresses feel nice, they usually emit volatile organic compounds (VOCs) through off-gassing. According to the EPA, VOCs can contribute to many sneaky health effects like headaches and nausea. When the typical person needs about 8 hours of sleep per night, the long-term effects of being continually exposed to VOCs aren’t yet fully known. VOCs may also trigger your allergies, which can cause respiratory problems and skin reactions. If you’ve ever been congested at bedtime, you understand how frustrating it can be to get some quality sleep. Chronic sinus irritations can lead to sinus infections and just general feelings of malaise. When you cut out the triggers for any respiratory or skin problems, you can be sure that discomfort is less likely to be an issue at night. How Can a Natural Mattress Help You Succeed at Work? Sleeping on a chemical-free, organic mattress will maximize your chances at getting a good night’s sleep. There are no VOCs to worry about, while proper body support will fully align your spine, minimizing any pain in your neck and back. Who doesn’t want to be more creative, alert, healthy, positive, and energetic? Without a doubt, all these attributes make a better employee. This and more awaits you when you get on board with better sleep, and it all starts with a great mattress. Try a Gardner Organic Mattress Today! Gardner Mattresses have been known for their outstanding quality for decades. 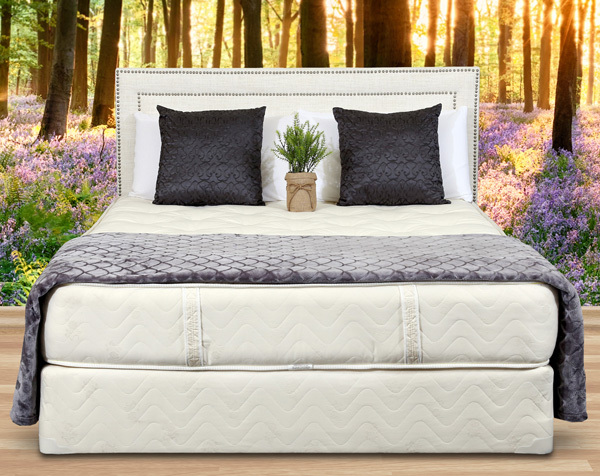 Both carefully handcrafted and organic, these mattresses are built to support you and your family for many nights of incredible sleep. Try our mattresses risk-free for 90 days by calling 1-800-564-2736. Previous article	Should You Buy a Bed with an Adjustable Base? Next article	Does Stress Affect Your Sleep Cycle?